To take part in the Race,you MUST have registered for the championship HERE. 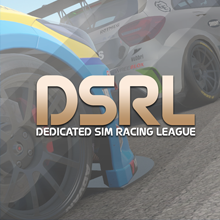 All the Rules, Regulations, Calendar, and Lobby settings can be found HERE. Q By posting "IN" in the weekly race thread you will be assigned to a qualification lobby (registration closes at 6:00pm UK). Qualification starts at 8:10pm UK at the latest! If you're not online or still have connection issues then, you’ll miss the chance to pick the track and you won’t practice for the full 30 minutes. + Do not edit a previously made post with an "IN" as we won't be looking for that, post a new reply instead! Your status isn't set to "appear offline"
on the bright side I'm going to see the le mans winning ford race! So envious right now. I'd love to go to a IMSA event. The quali lobbies are updated. The weather is also CLEAR. No surprise. Sadly OUT now - health issues, gutted to be missing it, I even practiced this week lol. LE MUNDO and Stevielow in in in.